Kylie Jenner Red Parker Faux Leather Pants are the most comfortable pants to have, not only they possess being associated with the name of the celebrity. In fact they are a perfect form of comfort which must be available in every wardrobe. 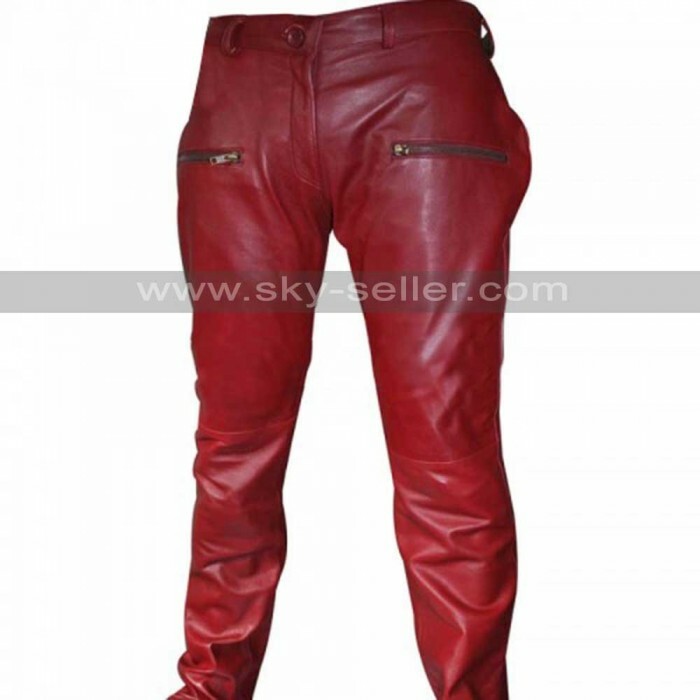 Made out of the premium quality leather, these pants are available in two colors; black and red. Both the colors being neutral choices in every regard are perfect to suit all kinds of clothes you tend to wear. The pants are fitted on the top whereas you may find a little losing on the bottom part below the knees. 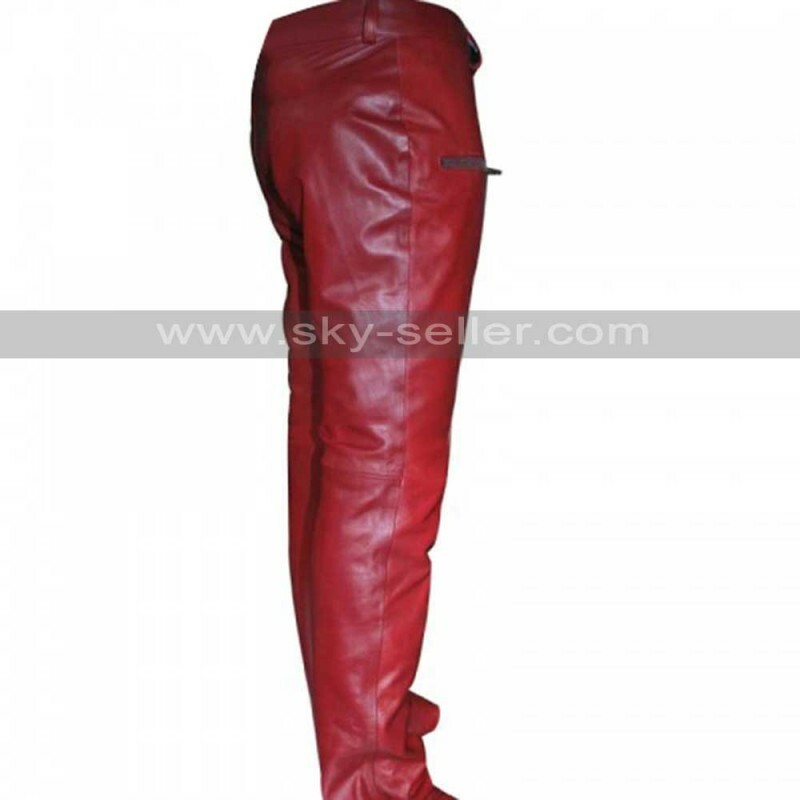 The pants have two front pockets being zipped whereas the closure features a zip and button. There are loops given for the belts too if you wish to make it more accessorized in a different manner.